Posted August 31, 2016 by William Martin & filed under Syndicated. 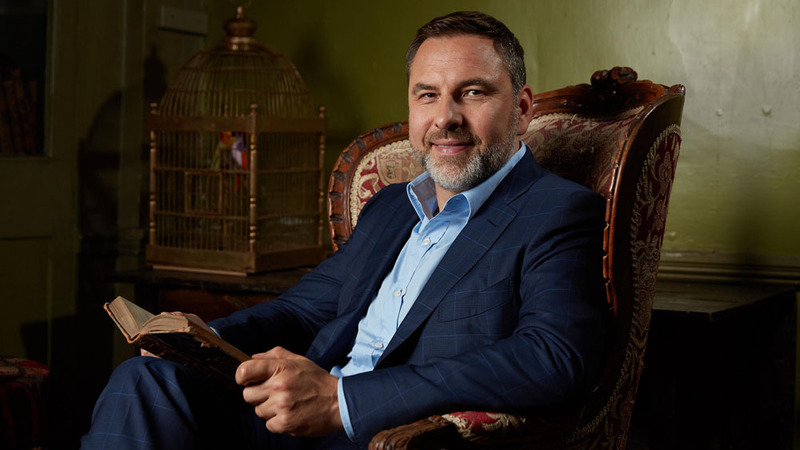 David Walliams will host a one-off film celebrating Roald Dahl’s 10 best-selling children’s books on Channel 4 next month. The 90-minute special brings together a host of stars to mark the 100th anniversary of Dahl’s birth, including Stephen Spielberg, Julie Walters, Richard Curtis, Mackenzie Crook, Jarvis Cocker, Johnny Vegas, Jessica Hynes and Miriam Margolyes. 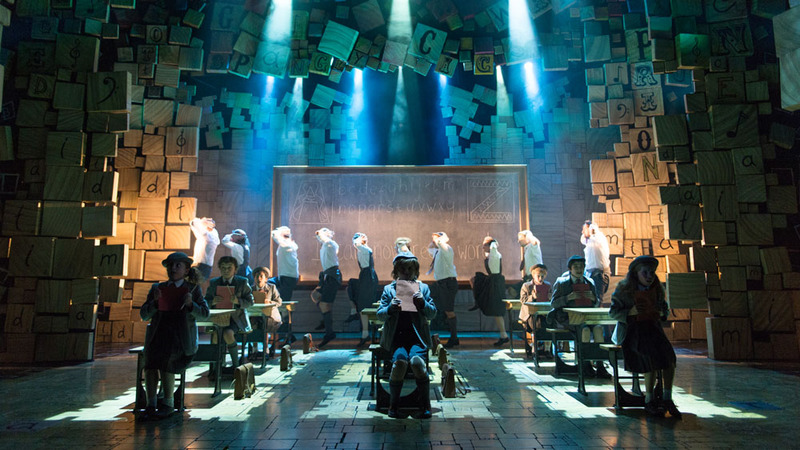 Roald Dahl’s Most Marvellous Book will climax with the nation voting on their favourite book via Twitter, choosing from classics such as Charlie & the Chocolate Factory, The BFG, The Witches, Matilda,The Twits and many more. You’re presenting Roald Dahl’s Most Marvellous Book on Channel 4. Can you explain a bit about the programme? “We’ve gathered together the great and the good, some serious people, to put their case for their favourite Roald Dahl book. We’ve got Steven Spielberg talking about the BFG, for example, or Julie Walters talking about James and the Giant Peach. It’s an incredible bunch of people, and they all make an impassioned plea for their favourite book. And what’s very interesting when you look at all of the books together is that there’s no consistent THEME running through them. They’re all completely different. “Danny the Champion of the World, for example, has no magic in it at all, it’s all perfectly real, whereas The Witches is all about magic. Unlike a lot of authors past and present, he only ever did one sequel. So all the books feel special. 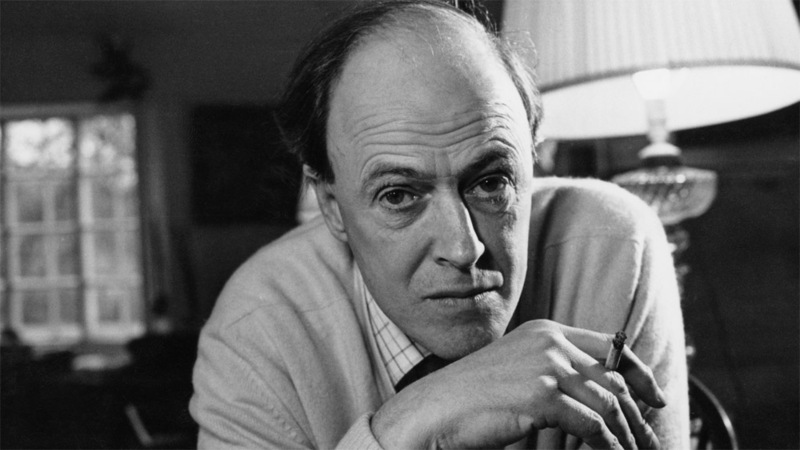 Did you have a favourite Roald Dahl book growing up? “Charlie was really special to me, because it was the first one I read. I read that when I was nine or ten. I was born in 1971, and Dahl kept on writing right into the mid-1980s, so I missed some of them at the time. I probably didn’t read Matilda until I was an adult. 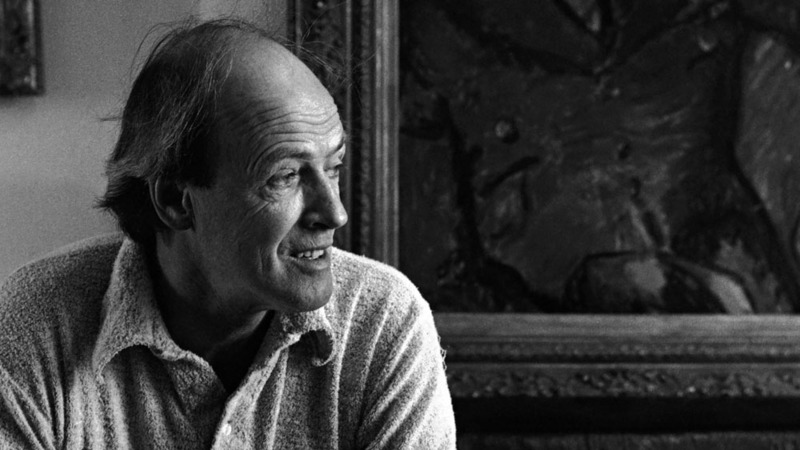 Now that you’re an author yourself, do you dip back into Roald Dahl’s books for inspiration? Do you think being a writer has given you a greater appreciation of his craft? He’s not afraid to take his stories to a pretty dark place, which is quite a brave thing in a children’s book. Do you think kids respond to that? One thing you deal with in the programme is the fact that Roald Dahl suffered various tragedies in his life. Do you think that contributed to making him the writer that he was? “I think definitely. His daughter Olivia who died, he had a picture of her in his writing chair, at head height, so he obviously thought about her all the time. He had a lot of difficult things happen in his life. You’ve been described as a modern day Roald Dahl. How does that feel? Were you inspired to ask him to illustrate your books because of his work with Roald Dahl? “Yes. And because he’s the most talented illustrator out there. And I think having him on board gave my books a credibility they might not otherwise have had. I was coming from writing for television, and people can be a bit snobbish about that. And lots of celebrities have given books a bad name by putting their names to things they didn’t actually write. “So having him illustrate the books gave them a bit of credibility. He responded to the writing. He didn’t have to do it. He’s got nothing to prove, there wasn’t much in it for him, it just came down to whether he wanted to illustrate it. So it was a real honour, having him work on my books. And also, it meant I got to go and drink tea with him and talk about Roald Dahl. To talk to someone who actually knew him was incredible, because he’s such a giant, and he’s becoming an even bigger figure. Do you need to have a childish aspect to your personality to write children’s books? “I don’t know if you need to be childish – I don’t think Dahl was at all childish. He doesn’t seem it. He could be quite severe and imperious. I think it’s more that you can see the world through a child’s eyes – that you can look back on what it meant to be a child. He does that brilliantly in Boy, his autobiography which he writes very much from the point of view of being a child. In the programme, it’s a popular vote to find the most marvellous book. How’s the voting going to work? “It’s all going to be done on Twitter. The public can vote using a different hashtag for each of the featured books. It’s a bummer for people not on Twitter, but it’s a really interesting way of doing it. I’ll be fascinated to find out what are people’s favourites. If you were a bookmaker, would you make that one the favourite? 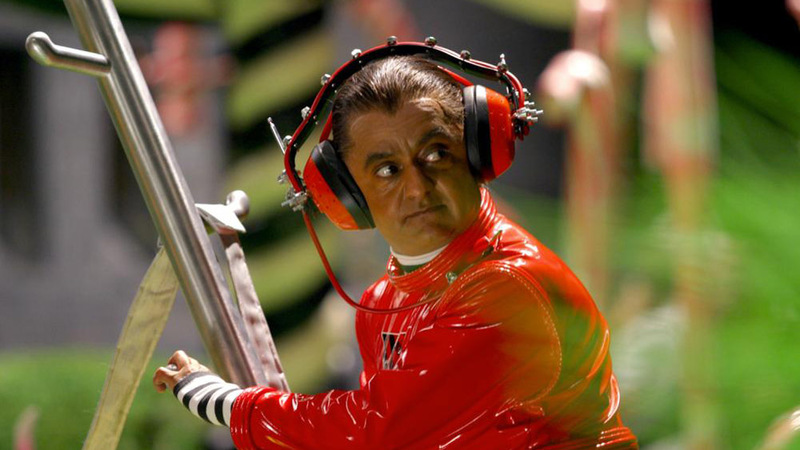 “I think Charlie and The Chocolate Factory probably. It’s the most celebrated – it’s part of our culture – the golden ticket, the Wonka bars, the grandparents all in the same bed – it’s got so many moments that stick with you. So I’d say that has a really good chance. Obviously you don’t ask everyone you meet what they think of Roald Dahl, but he seems to be universally loved. Have you ever met anyone who thinks his books are rubbish? “I don’t think anyone thinks that. I think there might be some school teachers who think you shouldn’t have a book about a boy trying to kill his grandma by poisoning her, as in George’s Marvellous Medicine. But I don’t think anyone would suggest that his books aren’t good. I don’t think you can make a case for that. They’re clearly brilliant. If you could choose one aspect of Dahl’s writing that made him so unique and special, what would it be? “For me, it’s the tension between the darkness and the humour which is so extraordinary. There are scary children’s books and there are funny children’s books, but not many people manage to combine the two. All of his books have this darkness in them, but they are so funny, and also so full of invention. He’s so relentlessly inventive, so incredibly imaginative – he’s got all of the things you’d want from a children’s writer. “He never lets you down. And because he wasn’t that prolific, I feel like he only wrote something when he really felt like he had something to say. You never feel like he was writing something as a contractual obligation. And then there are some incredible messages in his books. “There’s that bit in The Witches, where the boy realises he’s going to stay a mouse, he’s not going to become a boy again, and so he’s not going to live for very long. And his grandma says – and I’m paraphrasing here – ‘It doesn’t matter how long you have, all that matters is that you’re loved, and you love.’ What an incredible thing to have in a children’s book.